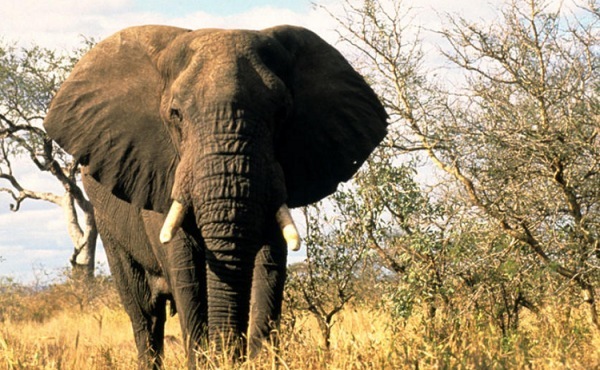 South African safaris are a great value! They have the same animal experiences as the inland safaris, but also feature great sightseeing along the coast, winery tours and a fabulous luxury hotel to rest up in after your transatlantic flight! This package includes 4 nights in Cape Town at the Southern Sun Cullinan Hotel close to the Victoria and Alfred Waterfront followed by 3 nights on Safari along the East Coast at Kariega Game Lodge. We think you’ll agree this vacation has it all! On arrival in Johannesburg you will connect for your two hour flight on South African Airways to Cape Town. On arrival, you will be met for your transfer to your hotel, the Southern Sun Cullinan. After breakfast, you will be met by your local English speaking driver-guide for your full day tour of the Cape Peninsula. 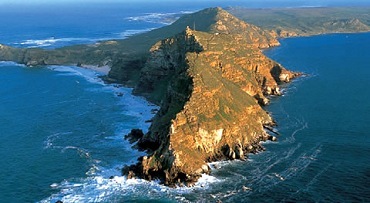 Depart the hotel as we make our way south, following the Atlantic Ocean until we reach Cape Point and the Cape of Good Hope. Said to be the romantic meeting place of the two mighty oceans, the Atlantic and the Indian, Sir Francis Drake the Explorer once called it “the fairest Cape that we saw in the whole circumference of the Globe”. An optional tour of the Kirstenbosch Botanical Gardens, home of some 3 500 species of Southern African fauna and flora, is available. Today we tour of the Cape wine region, beginning with a wine tasting at Nelsons Creek Estate. After a tour through their cellars, where we will sample some of their local wines and cheeses, it’s on to Paarl, for a brief city tour, and then Franschhoek, a little village nestled amongst the mountains that can easily be mistaken for Switzerland. There will be a second wine tasting followed by a lunch stop and on to the university town of Stellenbosch in the Hottentots Holland Mountains. With white gabled Cape Dutch homesteads and oak lined streets, this place has a charm that will not be quickly forgotten. 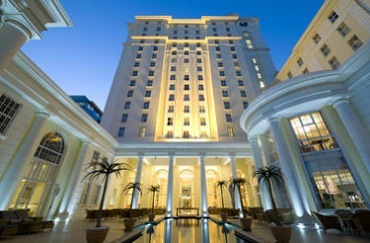 A full day at leisure to explore the beautiful city of Cape Town. 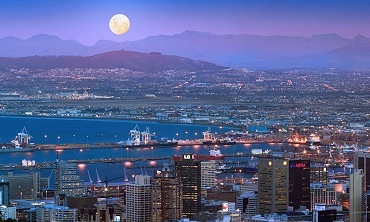 Maybe take a trip in the cable car up Table Mountain or tour the fascinating Two Oceans Aquarium. Head for the white sand beaches of Clifton and Camps Bay for people watching and soaking up the African Sun. After dark, explore the Victoria & Albert Waterfront with its many shops, restaurants and vibrant nightlife. After a short flight to Port Elizabeth, we travel overland to Kariega Game Reserve, which is situated along the Eastern Cape Coast, making it the perfect Big 5 South African safari destination to compliment a Cape Town visit. This malaria-free South African game park is home to some of the richest biodiversity in Southern Africa, as well as two abundant rivers – the picturesque Kariega and Bushman’s Rivers. At Kariega, everything revolves around the twice-daily safari drives and river cruises – where close-up encounters with African wildlife make an unforgettable safari holiday. The experienced game rangers will drive you out on safari every morning and afternoon/evening in open game-drive vehicles, traversing the valleys, grassy plains and African bushveld to bring you close to the Big 5 and other game roaming freely in their natural habitat. If you are fortunate, you may witness the lion hunting or feeding, or even the heartwarming social interactions of an elephant herd. 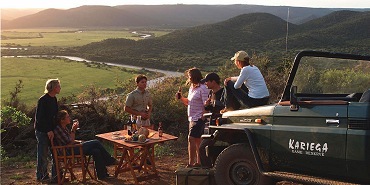 The game reserve is bordered in the east and west by the vast and dramatic Kariega and Bushman’s River Valleys. On safari drives you will explore many different habitats – riverine forests, rich grassland plains and typical African bushveld. The awe-inspiring African landscape will captivate your senses and the trees, grasses and plants of the Eastern Cape will divulge their secrets. There is never a dull moment on safari drives; you never know what African bush experience awaits around the next corner of the track. This incredible value ($3,499 per person) includes round trip coach air on from New York (JFK) or Washington (IAD) Airport to South Africa and domestic coach air in South Africa as per the itinerary (Johannesburg – Cape Town – Port Elizabeth – Johannesburg); 4 nights of luxury accommodations in Cape Town, 3 nights accomodations at the Lodge at Kariega Private Game Reserve; Most meals as per the itinerary (7x breakfast, 3x lunches, 3x dinners); Ground transfers as per the itinerary; Scheduled Cape Peninsula tour; Scheduled Winelands Tour; All park fees and safari activities. Price is per person based on double occupancy. Valid for departures from New York (JFK) or Washington Dulles (IAD) between August 11 – 31, 2017 with the same itinerary available at higher prices during other travel periods.